I’m a mixture of nervous excitement, one minute worrying about leaving all that is so familiar behind, our family and friends that we hold so dear, our home and our comforting routine of school/work and weekends. And the next all giggly with uncontrollable excitement of what’s coming…the amazing sights, sounds and smells of new places we will visit, the precious time I’m going to get to share with my husband and girls, and the thrill of unknown adventures that are coming our way! Today we have been looking at what sensible bits to pack…the first aid kit seems huge! I have a long list for each of us and with three bags between us I’m going to have to be harsh on which one of my pretty flip flops makes the case! 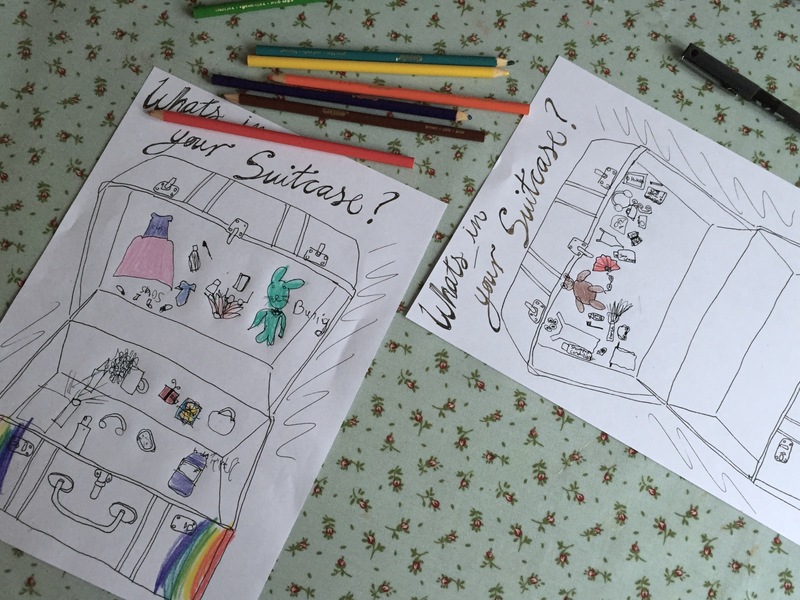 The girls have drawn all their essential pieces in a fun sketch! Glad to see bunny and ted were included but looks like they forgot clothes! Although I guess there is a party dress and swimming costume, what more could you need for 6 months away!